First step- Find a Quote! I love Brainyquote.com for that. 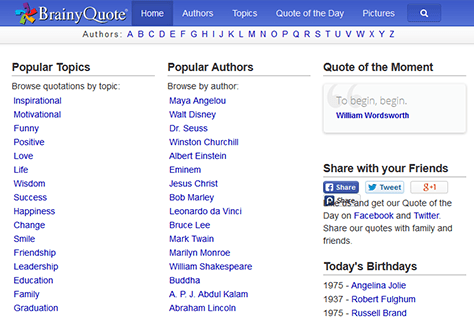 You can search by topic or author, or just choose the quote of the day. They even have some already on images. All quotes have share buttons, but I do advise that you make it your own and create your own image. In a time crunch though, just share it. Second Step- Find an Image! 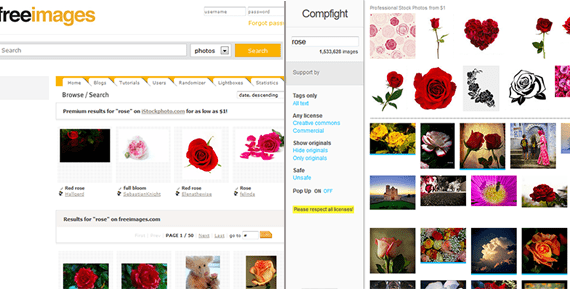 Compfight is a Flickr search tool. Quickly find images for blogs, comps, inspiration and research. Be sure to check the photo license and credit the owner when and where necessary. Another site I like to use for photos is Freeimages.com (formerly sxc.hu). It’s hit and miss here, but I often find very usable nature images. No Photoshop, no problem! Enter Pixlr. You can do just about everything Photoshop can do online with Pixlr. The interface is very similar to Photoshop and has several of the same tools. Pixlr supports several image types including PXD which is their version of Photoshop’s PSD. When you create your quote image, be sure to put the URL of your website on the image. I tend to place my in the lower right corner (this is a step that I often forget!). As the image gets shared, so does your web address. Hop over to Facebook and upload your image to your business page. Be sure to tag your business page and add a link to your website. Giving permission to share the image tends to prompt your followers to hit share. Made with Pixlr, image by Philippe Put via Compfight cc and quote from Brainyquote. If you want clients, clients that buy from you, you have a little work to do. You must focus on the “Know Like Trust” factor. You’ve got to build and maintain relationships. 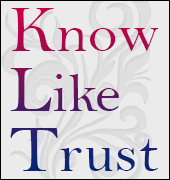 Know-Like-Trust is what it takes to build a good customer base, one that will return to you over and over again. Think about it, when you go to make a purchase are you more likely to buy from Joe or Jane? Joe just set up shop on the street corner, you only know his name because it’s on his sign. Or, will you walk 2 blocks to Jane, the lady you purchased from last month and loves to greet you with a smile and a piece of caramel? Jane, right?! You need to be Jane to your customers! Give your prospective clients a chance to get to know you. If they don’t know you exist, they aren’t going to become a client. You can obtain the know factor with your website, your social profiles, your advertising. Get out there so they know you are there. Let them know who you are and what you have to offer. While they’re getting to know you, give them reasons to like you. Trust me, if I don’t like for whatever reason, I am not giving you my money! Be friendly and authentic, make them smile and they’ll be more open to opening their wallet. Be there, be everywhere. Introduce yourself on your website, put up a photo. Have a conversation on Facebook or Twitter. Be warm and friendly, someone they would want to have coffee with! You have to build trust slowly. Trust is built by peers in your industry referring to you, clients talking (good words hopefully) about you, being authentic.Trust takes time. Stand behind what you say, follow through when you say you’re going to do something. Don’t disappear, be always present. Focus on the Know-Like-Trust and watch your business grow. Do you have trouble remembering your Google+ url? Who can remember that long string of numbers? One thing Google is severly lacking is vanity URLs. Vanity URLs are what we call it when a site let’s us choose use our username in the link to our page. For Facebook, the vanity url to my page is http://facebook.com/bestdamnwebgirl and Twitter is http://twitter.com/bestdamnwebgirl. Those are easy to remember and easy to share. Enter gplus.to, a url shortener for Google+. It works very much the same as bit.ly or other URL shortener services. I must let you know that this site is not affiliated with Google in any way, but it works and is useful at least until Google decides to allow everyone to set URLs with usernames. The site is easy enough to use, choose your username in the first box, for a business you probably want your business name. Now, in a new window head over to your Google+ page. Make sure you’re on your dashboard so you don’t get confused, when you initially head to G+ page, there will be 2 strings of numbers in the URL. In the address bar, copy just the string of numbers. Go back to gplus.to and paste it in. Hit “add” and tada! Now you have your own short G+ URL. Due to increased spam, comments on this post are now disabled. For what it’s worth, there is no need to use a service anymore since Google now offers you custom URLs. More Facebook promotional contests are now legal! Facebook has updated the Pages Terms to make more Facebook promotional contest easier (and legal!). In the past it has been against TOS to run any type of contest without using a third party app. One little stipulation remains, you can not ask people to tag themselves in a photo unless they are actually in the photo. Should you run a contest the easy way or use an app? That depends on your reason for the contest. If you’re goal is the gain likes or collect email addresses, then apps are the way to go. If you just want to increase engagement a little, then by all means use a status. Just keep in mind that choosing your winner might be a tad harder when it comes time to tally all those likes and shares, that’s where apps come in and make it easier for you. What is your favorite type of Facebook contest? Pulling My Hair Out Over Video Capture Software! Do you ever have days where it seems computers are out to get you? Tonight is one of those nights with my video capture software! I’m making my way into creating videos for my clients, despite the fact that I can’t stand my voice on video, and my recording software just will not work. I committed to doing this during soccer practice tonight (since I didn’t get it done this morning), an hour later I still have nothing produced and practice is going to end in about 45 minutes. I have been using CamStudio to capture video, but no audio with success up to this point. I’ve created two videos with voice this week, but today it’s just not working. I’m not going to give up though. I’ve found a few alternatives I plan to test and hopefully the first one will download quickly over my super slow wifi hotspot and get the job done! I decided to try Jing first. I remember installing it, but never using it, years ago. The first one I saw was EzVid, but there was no download link! What a way to lose site visitors! I found the FAQ and there was a link to a download page, but no download. Too many clicks and too lost, I backed right out of there. I might not have gotten that video done (yet), but I did get a blog post written! Do you make videos for your website? What do you use? Google has updated their link schemes page, a guide on linking to and from your website, basically saying all links need to be “nofollow”. That’s the gist of it anyway. If you are putting links on your site just to pass PageRank, they want you to stop. My take is, and always has been, write for your visitors, not for Google. Yes, you absolutely should get the title, description and some keywords in there, but make your content flow and share links your visitors will enjoy (that open in a new window/tab!). Why are you playing the Google game anyway? To get visitors to your site so they’ll take action, right?! Basically, Goog is saying if you are paying for links, that is bad. I do not fully believe this. I do think that if you just pop a link to your site out there on every available directory you can find, it’s not going to help you and may hurt you. If you find quality, niche directories and you pay to be listed, go for it. For example, I’ll use a site I work on, The Boudoir Photography Network, which by the way isn’t always safe to view at work. (See I linked that? If you photograph boudoir, this link is useful to you and it fits the flow of my post here, and opens in new tab so I don’t completely lose you!) This is a site directory, but it’s not just any old submit a link directory. Your main purpose of getting listed here is to connect with potential clients. Forget Goog, you want the clients to find you. This type of directory, in my opinion, shouldn’t ding you and I haven’t seen any cases where it has. This is a legit link back to your site whether it’s dofollow or nofollow. Swapping links with a friend might be okay. If you both are in two completely different industries that do not complement each other, don’t do it. If you both sell a product or service that complements the other, then by all means, share a link. In this case you are helping your site visitors find another item of interest. Your goal should always be to create great content. Not content for Goog, but content for your visitors, and link where appropriate. Create something they want to read and share. 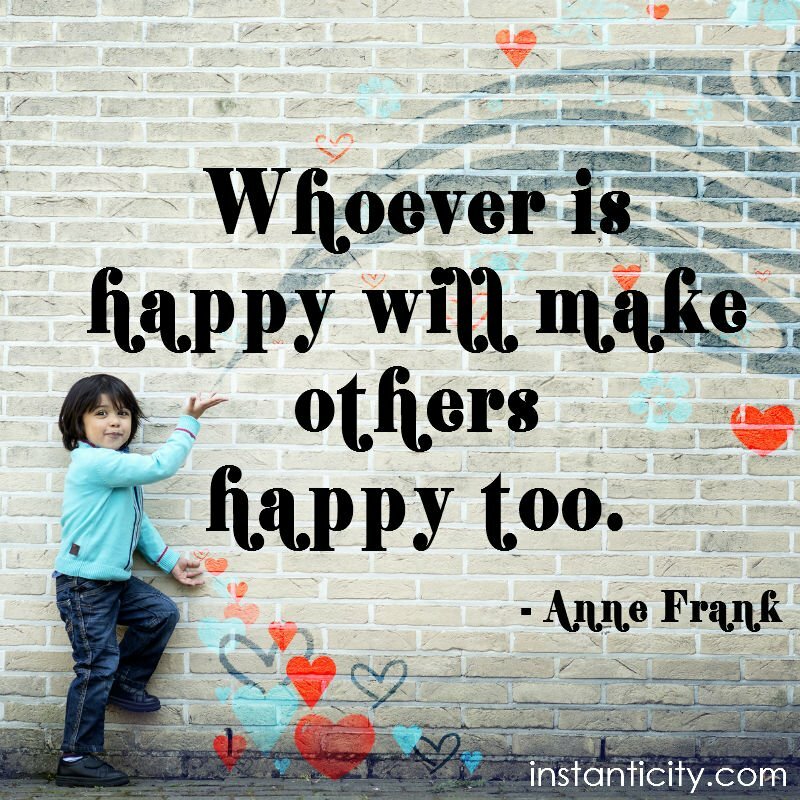 As your readers share your content, your authority grows and Google gets happy. Are you Undervalued and Underpaid? Feeling undervalued, you know your fees should be more than you charge? Are you underpaid, not getting the money you know you deserve? No matter how many times you tell yourself not to do it, you discount your prices for that one client. That one client soon becomes every client and before you know it, you’re barely breaking even. Stop discounting and stop devaluing yourself! You started your own business to make money. Face it, no one works for fun. We all have bills to pay, unless of course you inherited some very, very large sum of money and in case, you wouldn’t be here reading this! So, why do you knock off part of your fees, every.single.time? Often times, the reason is because you don’t value yourself. This happens often when money is running tight and you just want to land that client to pay the next bill. (Guilty!) Thinking you can’t afford to hire yourself, you offer a discount to your clients. You find yourself living client to client. Desperation directly affects Confidence. As you get desperate for money, you lose confidence in yourself. You start charging a little less to everyone and before you know it, you’re not making as much as you were. Now you’re going downhill instead of moving up. Stop! 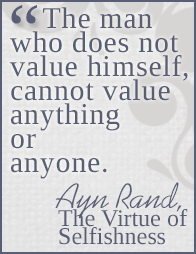 You must first value yourself. You set your prices, whatever they may be, for a reason and it’s important to stick to it. Pay it forward is great and all, but you can’t give away everything. You are in this business to make money, not to live paycheck to paycheck. If you give it all away, what are you going to do to make money? Do not assume. You do not know anyone’s financial state. Everyone wants a deal, no one is going to offer to pay you more than you ask. Do not assume your next contact can’t afford you! What can you do? Offer a payment plan instead. Spread your fees over 3-4 monthly payments if needed, but don’t go around giving out discount to everyone you encounter. By charging what you feel you are worth, you will build your confidence. Knowing your value, you will be able to sell your product or service to those that need it. Those are the clients you need to target, the ones that value you and are willing to pay you, not the discount seekers! Overwhelmed? Try this 6 minute workshop! Me overwhelmed? No way, I can handle a husband, 4 kids (and their homeschooling and activities), house, clients and myself. No problem. I’m lying. Marie Forleo sent out this great email today about feeling overwhelmed and what you can do about it. 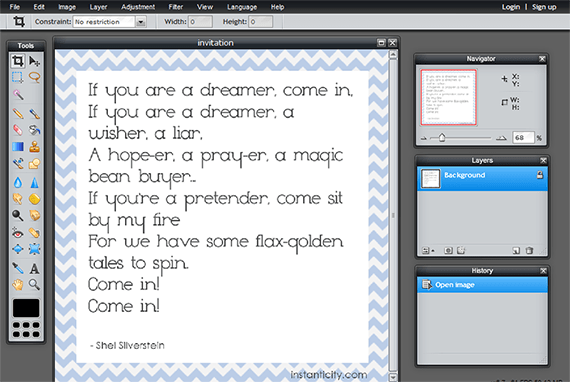 I created a great little PDF Worksheet you can print to use along with the video. Bonus Tip: Print a few copies of the PDF and when you’re feeling overwhelmed, grab a page and just do it. Such a simple, and quick way to clear the clutter! I feel more focused already. How about you? Do you have other tips to clear the mind clutter? Share them in the comments!